We have the only multi-disciplinary team of skin cancer and melanoma specialists in the San Francisco East Bay. Our mission is to develop the most appropriate skin cancer treatment plan for each patient which provide best clinical outcomes and increased quality of life. skin cancer assessment and care. " Our center cares for patients with all stages of melanoma and other skin cancers, from early lesions to therapy for late-stage disease. All of our physicians have a special interest in the treatment of skin cancer and have many years of experience. 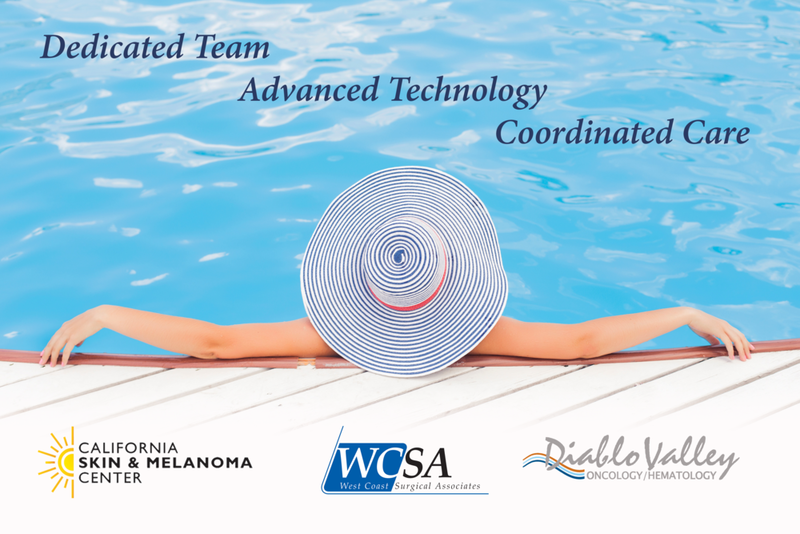 Diablo Valley Oncology and West Coast Surgical Associates have brought together all of the essential components necessary for a comprehensive skin cancer program. The biggest difference our skin cancer program makes for patients is our highly collaborative, multidisciplinary approach to care. We combine expertise from a multi-specialty group of board certified physicians who work together to provide high quality and consistent treatment for patients. Our center offers the most advanced therapies and latest technologies available to diagnosis and treat skin cancer.